Join us for our fifth juried poetry night at the historic Bull Run. This event will have three impartial jurors that will score each poem silently. At the end of the night we will announce the winner. The number of poems that you may read depends on the number of participants. 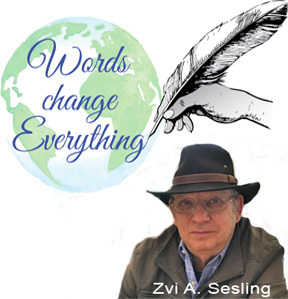 Guest Speaker: Zvi A. Sesling. Zvi is the Poet Laureate of Brookline, MA. He has published poetry in numerous magazines in ten countries. He has won several poetry prizes in Israel and was a featured poet in the Tenth Annual Jewish Poetry Festival and at First Light Night in Brookline. His poetry was used in the Spring Rain Poetry Festival on Cyprus in 2012. He reviews for the Boston Small Press; Poetry Scene and is editor of Muddy River Poetry Review. He has been a featured reader in the Massachusetts Poetry Festival and the National Boston Poetry Festival. Sesling was selected by Boston Poet Laureate Sam Cornish to read at the New England PEN Discovery Reading. He is author of War Zones, which is nominated for Mass Center for the Book Poetry Award, The Lynching of Leo Frank, which was nominated for the National Jewish Poetry Book Award, Fire Tongue and King of the Jungle, as well as two chapbooks, Love Poems From Hell and Across Stones of Bad Dreams. He has taught at Suffolk University, Emerson College and Boston University. He lives in Chestnut Hill, MA with his wife Susan J. Dechter.